Tell us the story of your project – What was the impetus? What was it about? Who was involved? How did you get started? Our Place was a project that sought to offer a marginalized section of our community a creative and positive experience within a museum environment. Over six weeks in early 2016 the Glucksman hosted art workshops for a group of children from two direct provision centres in Cork City. During the six sessions, the group were encouraged to create artworks that looked at ‘place’ both imaginative and real using a wide variety of materials from film, print, drawing, painting, animation and collage. The workshops were framed within a larger project ‘Once Upon a Place’ run with Laureate na nÓg and Children’s Books Ireland which brought together school and community groups to the Glucksman to create artworks that reflected on their sense of place. This project culminated in a public exhibition at the Glucksman in March 2016 and was launched with a storytelling session by Laureate na nÓg Eoin Colfer. Central to the Glucksman’s Education Policy is a commitment to work with community groups, enabling people of all ages and abilities to access different aspects of visual art. 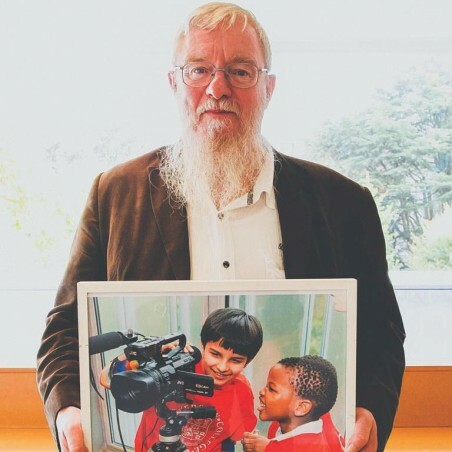 We first met with Mike Fitzgibbon and Eileen Hogan at University College Cork to discuss the possibility of an art project with children living in Direct Provision back in the spring of 2015. Even at that early stage, without any funding, clear numbers or dates we were all determined that we would find a way to make this project work. Around the same time the Glucksman was named one of the host locations for a reading by Laureate na nÓg, Eoin Colfer as part of the Once Upon a Place project. Once Upon a Place sought to bring storytelling to children all over Ireland focusing specifically on communities who may not have access to libraries, storytellers, writers in schools etc. These readings were to be held in extraordinary places that would help bring stories to life. The timing of the Once Upon a Place project and the proposed project with children in Direct Provision couldn’t have been more appropriate. The art project had its origins in discussions a group of University College Cork staff and students had with staff of the Glucksman. I had described in an earlier email some of the awful experiences of people, and in particular children, living in the Direct Provision system. Staff in the Glucksman responded to this, offering to work with us in putting a programme in place that would offer some relief from the system, some break from the mundanity, and might provide outlets for expression and enjoyment for these children. It took a number of months to organise, but the programme began at the end of 2015, with three workshops before the end of year, and three in early 2016. Working with partners who knew the residents, the needs of the children and the expectations of a project was crucial. The relationships that our colleagues in UCC have developed over 15 years with residents of direct provision centres meant that they had garnered a trust and understanding that we at the museum would have been unable to achieve in such a short period of time. Children’s sense of place was the perfect theme for the group but also a delicate topic that needed to be navigated appropriately. Speaking with Mike he gave me an idea of the centres and the living conditions that children were exposed to. Understanding the places where these children lived meant that to ground our projects in real life place had the potential to unearth difficult and complex emotions for the children. The focus of the workshops was to be on joy and to offer a small moment to escape reality. And so we looked at the what if? What place you could be living/visiting? With no restrictions and no limits – where was your place? We had wanted to ensure that the interests of the children were demonstrated in the projects and activities that we undertook. Alongside a number of shorter activities each week we had three core projects. In each session we completed between five and six activities. We looked to incorporate as many mediums as possible, particularly using materials and techniques that the children may not have been exposed to in school. And also crucially children had an opportunity to bring their colourful creations back to their centres. This was a new experience for all of us. Controlling and channeling the children’s dynamism was the most challenging aspect to the workshops. We found that the group’s attention would fall-off very quickly and so having multiple short activities worked best. It was easier to return to our core projects over a number of weeks rather than attempting to see a project through during a single session. Over the six sessions we saw the physical and mental impact that life in Direct Provision was having on these children. On certain days some of the children would be drowsy, despondent and unresponsive to projects. These same children the following week would be full of life and enthuased about everything we were doing. These shifts in mood and energy were apparent across a large number of children. We sought to stimulate the children by undertaking short exercises and involving them in tasks around filmmaking and documenting workshops. We had two sessions prior to Christmas and during the second workshop we gave each child an art pack with sketchbook and materials. After Christmas when we met back up, one of the older boys showed me his sketchbook that he had been working on. Even in a few weeks there was a marked improvement in his drawing ability, he spoke about his delight at having these materials to create with and how he’d spend time every evening working on his sketches. For this boy and others in the group the opportunity to interact with extracurricular activities and to get creative was having a considerable impact. Their enjoyment of the workshops was reflected in their huge enthusiasm to return each week. The exhibition afterward was beautiful – and the pleasure that the children took in showing their work to their parents and others was wonderful. Challenges we experienced with this were quite different to other areas that I work or volunteer in. What seem like simple things, such as finding suitable dates for the workshops came with complications, such as needing to find times that didn’t intersect with other life activities, such as religious events. The flexibility shown by the Glucksman around this was emblematic of their commitment to it, as was the quality of their work and engagement with the children every week. The Irish Refugee Council has reported that young people living in direct provision centres are more prone to depression and suicide due to their restrictive and ostracized living situation. Its report also states that Direct Provision is NOT a natural family environment. Our University colleagues have campaigned for the end to DP since its inception. To have the opportunity to positively impact on these children’s lives was a wonderful opportunity for the Glucksman and one which aligned itself with our education policy and mission statement. Working with partners like Children’s Books Ireland and UCC Amnesty International Society allowed us to develop a project and exhibition that these children would value and remember. The experience of exhibiting their work alongside that of their peer group and for once in their lives to be the centre of attention under a positive gaze provided a special moment for the children living in DP. When we first met I remember Mike speaking about that moment after a day’s activities with the children when you have to send them back to the centre and how difficult that can be. Over the weeks I began to realize what he meant, as I got to know the children and the reality of their home lives it became increasingly difficult. Working with the children living in Direct Provision has been in equal measures some of the most rewarding and yet most heartbreaking work we’ve undertaken at the museum. These children are incredibly brave, generous and kindhearted. Their lives have been ones of struggle, distress and in some cases trauma yet their determination and positivity shines through. These children need some fragments of light in their lives, some moments to be creative, to feel optimistic and to feel good about themselves. All of our engagements with the asylum-seeking communities in Direct Provision have had terrific support from students, societies and all areas of staff in UCC, and this was no different. The programme and other events couldn’t and wouldn’t happen without that support. Many staff and students gave up most of their Saturdays for the programme’s duration. UCC Amnesty society sponsored transport, a significant cost each week. It is worth mentioning that because of our involvement with this, other projects and engagements have come about: one project involved working with women in direct provision on ceramics projects; another is ongoing with women engaging in different activities such as yoga, knitting etc. ; we have had another art-for-teenagers project; we will have another young children’s programme. All have happened as a result of the running of this first programme for children by Tadhg and his colleagues. Seeing its success motivates me, and others, to continue to advocate for and work with people condemned to live in Direct Provision. The really hard part each week was seeing these beautiful young people leave to return to their Direct Provision centres. Tadhg Crowley is the Curator of Education at the Glucksman in University College Cork. The Glucksman presents a wide-ranging programme of temporary exhibitions accompanied by an extensive education programme to engage visitors of diverse interests and backgrounds. 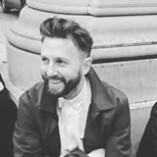 A graduate of Limerick School of Art and Design Tadhg’s role at the Glucksman is to help foster an appreciation of the visual arts among the wider public. In early 2015 Tadhg devised and delivered the first Visual Art module on the Certificate in Contemporary Living Course at UCC. Tadhg has expanded the Glucksman schools programme over the past 3 years and in 2015 over 2500 students attended workshops and tours at the gallery. Tadhg introduced the Glucksman Teachers programme in 2014 and it now includes seasonal Art Teachers Masterclasses, Preview Evenings and Summer Courses. Tadhg has recently presented at the IMA Annual Education and Outreach Forum and at the inaugural Arts in Education Portal National Day at IMMA. He has lectured on the MA: Art and Process programme at Crawford College of Art & Design as well as the Futures PhD module at University College Cork. 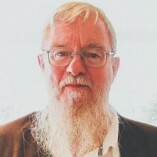 Mike FitzGibbon is lecturer of International Development in the Department of Food, Business and Science at University College Cork. Mike together with a number of UCC staff have campaigned for the end of direct provision since its inception in 1999. Mike has organized many events and day trips for the Direct Provision community over the years from Christmas Days, Easter Egg Hunts, trips to the beach and food gatherings. To ground our projects in real life place had the potential to unearth difficult and complex emotions for the children.